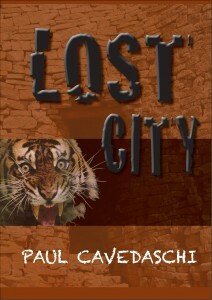 Beneath the ruins of Zimbabwe, a mystery…an adventure…a terrible truth. Andrew Beretto, ex-Selous Scout, left Zimbabwe in 1980 when Robert Mugabe came to power, vowing never to return. But when his brother is murdered by war veterans and his family farm seized by the Mugabe regime, he vows to find his brother’s killer. This book explores the mess of Zimbabwean politics and tackles some of the issues facing this country: land invasions, crooked elections, Mugabe’s impending death, but all in an adventure that is sometimes quite humorous, Wilbur Smith-like, and sometimes quite analytical. For example, the reluctant ‘hero’ is caught up in Mugabe’s cavalcade and knocks over an outrider, is shot at during curfew, is invited to Mugabe’s lavish dinner parties, and befriends two ‘skabengas’ (street wise thugs) who help him on his quest to find the lost treasure.. I loved the imagery of a decayed and dying Zimbabwe, slowly succumbing to complete disaster following thirty years of totally corrupt miss-rule by the dictator Robert Mugabe. The author clearly has the knowledge of what life (and death) was like in those desperate times. He takes us on named street chases through cities and passes through countryside where each village and landmark are knowingly described. The existence of pot-holed roads, dilapidated infrastructure and filthy, stinking suburbs is chillingly invoked. Is it possible to convert one of the potentially richest countries in the world into a place where the population have nothing, can buy next to nothing, have no suffrage rights and everyone’s lives are controlled completely under the spectre of governmental violence. Well, it seems like Mugabe, Castro & Chavez are part of a pretty exclusive club. The characters here, both heroes and villains, are all larger than life. The villains are suitably sinister, powerful and brutally cruel. I particularly enjoyed the roles of the two sleazy locals who, following an unsuccessful mugging and murder of the hero, become his staunch assistants and provide a lively and crazy Dumb and Dumber act throughout the remainder of the story. The hero himself is like some kind of cross between Allan Quartermain and Tarzan taking us on a succession of preposterously exciting adventures complete with fistfights, gunfights, helicopter hi-jacking and explosions. All put forward in a serious manner but for me completely over the top. Wasn’t really impressed with the flimsy “historical treasure hunt” scenario which seems to have been beaten to death in so many novels recently. I thought the story was spoiled somewhat due to the author’s apparent need to have the hero lurching from one deadly crisis to another with almost no respite. The setting was so beautifully established early on and I feel the book would have benefitted from occasional action sequences; more controlled and believable. However, the writing style here is very witty and grammar is good. A few typos but not enough to put anyone off. I would recommend this book, but the reader will have to try to keep his tongue firmly in his cheek whilst reading. Incredulous, Andrew silently translated the Shona into primitive English. Kudzi smiled at him, acting as an efficient, humble taxi driver. Beside him, the large man nodded pleasantly at him. Approaching the Coke intersection, Andrew saw gaping holes and wires sprouting out of the ground on each corner where there should have been traffic lights. Instead of turning right into town, the car careened across the road, avoiding a smoking lorry, which was also crossing the intersection the other way. Then it leaped off the main road onto a minor road towards Rufaro stadium. Andrew knew exactly where he was: Mbare—the old township ghetto on the South side of the Kopje. At once the smooth ride turned into a nightmare of potholes. Kudzi drove mostly off the tarred road, veering every few minutes to avoid oncoming bus and lorries. They seemed friendly and sincere enough. Maybe he had mistranslated. No–the word “Ba” definitely meant rob, using violence. “Where are we going?” Andrew knew full well now that their plan was to take him to a deserted spot and bludgeon him with a knife. Unfortunately for them, it wouldn’t be as deserted as they wished. The Mercedes was dodging potholes too, valiantly keeping up.